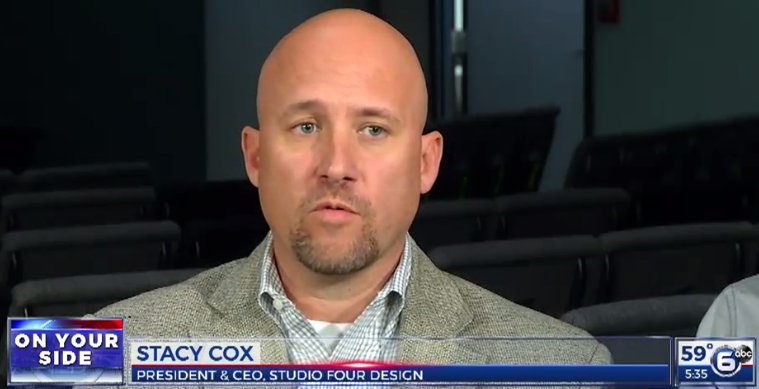 Studio Four Design, a top Knoxville-based architecture and design firm, helped bring to life a new two-building complex for Knoxville Dental Center (KDC) off Emory Road in northwest Knoxville. Dr. Hubbell Williams, DDS, chose Studio Four Design to develop the property and deliver a two-building complex with a two-story, 14,000 square foot building and a one-story, 7,000 square foot building with associated parking. The vision was to establish a new location for Knoxville Dental Center, as well as offer medical or office space to other businesses. Studio Four Design’s concept was to provide open, naturally lit areas that provide a more comfortable atmosphere for patients. 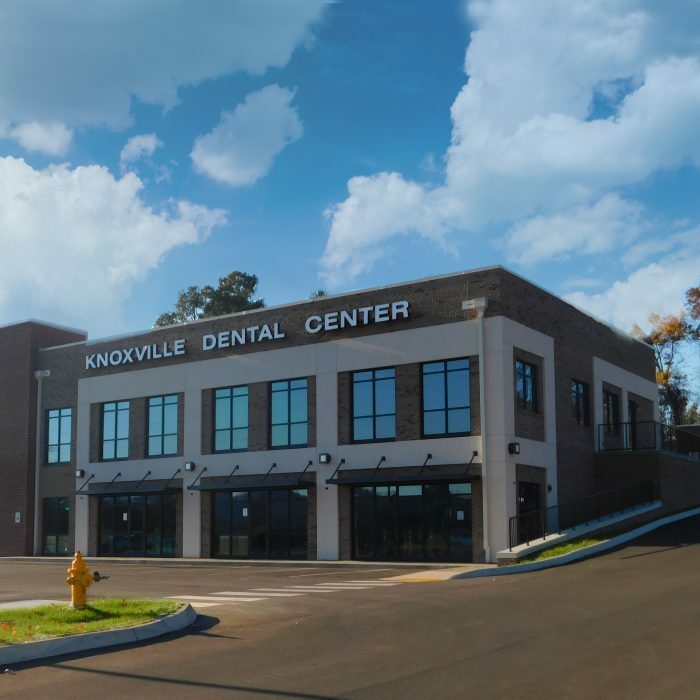 Knoxville Dental Center is located on the second floor of the two story building while the one-story building houses two tenants: Oral Maxillofacial Surgery Specialists (OMSS) and Volunteer Pediatric Dentistry. The OMSS office allows for natural lighting in each of its spaces and provides a warm design for patient comfort and recoverability. Volunteer Pediatric Dentistry is a bright and colorful space, helping to make children feel comfortable while visiting the dentist. This KDC location is one of many medical practices that Studio Four Design has designed and developed over the last 15 years in the greater Knoxville area. Merit Construction built both facilities. Knoxville Dental Center offers General, Cosmetic and Dental Implant Restoration Dental services at six locations in the greater Knoxville, Tennessee, area. With each initial visit, patients are provided a thorough oral examination, including all necessary diagnostic aids. One of our first concerns is the health of your mouth, and we also immediately address any dental emergencies. For more information, visit www.knoxvilledentalcenter.com. Published on November 30, 2017 by Ripley PR. Published on November 15, 2017 by Ripley PR.